Does anyone recognise this building? Maybe it’s someone’s place of work or some may go past it every morning and evening to and from work; never giving it much thought really! Like us, some may wonder maybe it looks a little out of place; With its orangey-red bricks and twisted chimney among the commercial buildings of the Bilton Industrial Estate, Basingstoke. This beautiful Grade II Listed Building dates back to 1905 and is designed by Sir Edwin Lutyens. It is The Brickworks’ office; built in 1905 amidst the clay pits and kilns of the brickyard. In 1903 Walter Hoare founded the Daneshill Brick and Tile Company which owned the building. The company employed 12 workmen who produced particularly beautiful narrow bricks about 10” x 5” x 1. ½”. Daneshill Brick and Tile Company also supplied bricks for many of Lutyens’ projects including the twisted chimneys at Marsh Court, Stockbridge in Hampshire. The business closed in 1957. Sir Edwin Lutyens was a leading English architect known for imaginatively adapting traditional architectural styles to the requirements of his era. He took his style from The Arts and Crafts movement of the 1920s which stood for traditional craftsmanship using simple forms, such as medieval, romantic, or folk styles of decoration. He began his own practice in 1888 and designed many Country houses and war memorials. One such house is Daneshill House which he built for Walter Robertson Hoare a member of a banking family who owned the Red Lion Brewery, East Smithfield, London. This came about after Sir Edwin Lutyens and Walter Hoare visited the ruins of Basing House which was destroyed during the English Civil War. 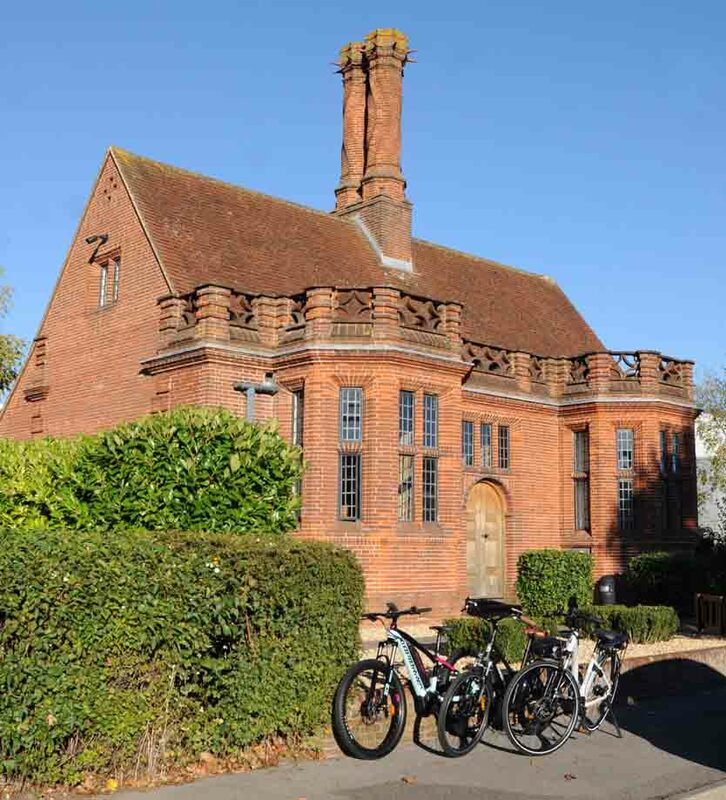 Lutyens admired the colour and quality of the Elizabethan bricks from which the house had been built and whose bricks were used to rebuild the village of Old Basing. Edwin told Walter that if clay of the same quality could be found he would build him a house. A local source was found, and the brickworks were opened. As Basingstoke’s documented history begins with the Domesday Book; who knows what hidden history, fantastic architecture and culture there is to be explored where we work and where we live. 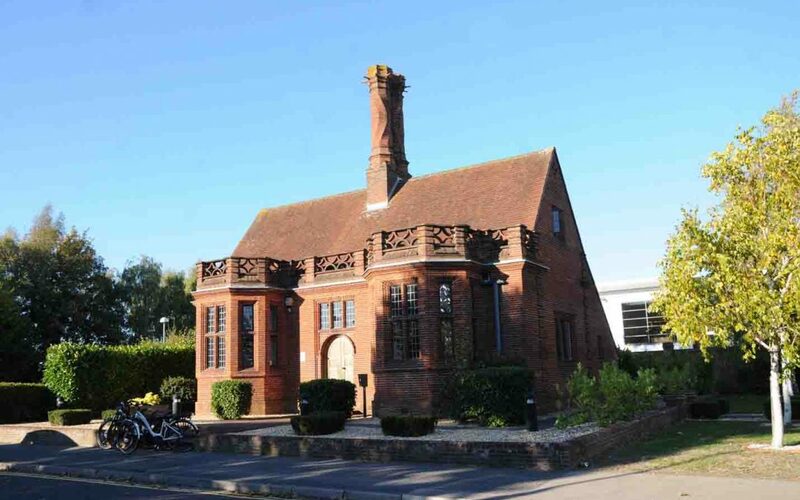 Just as we found the Brickworks a stone’s throw from our showroom on Hassocks Wood, Stroudley Road; there are in Basingstoke buildings of every age, style and function; from castles to factories, town halls to tithe barns, parish churches to Buddhist temples; right on our doorstep.